Nokia N8-00 mobile was launched in October 2010. The phone comes with a 3.50-inch touchscreen display with a resolution of 360x640 pixels at a pixel density of 210 pixels per inch (ppi). Nokia N8-00 is powered by a 680 MHz ARM11 processor. It comes with 256MB of RAM. As far as the cameras are concerned, the Nokia N8-00 on the rear packs 12-megapixel camera. It sports a camera on the front for selfies. 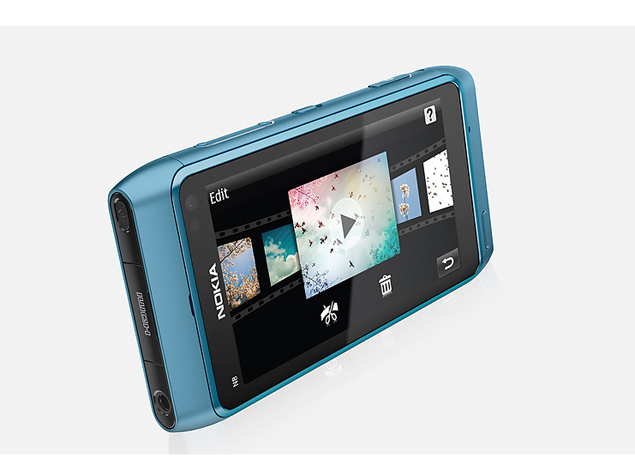 Nokia N8-00 packs 16GB of inbuilt storage that can be expanded via microSD card (up to 32GB). The Nokia N8-00 is a single SIM (GSM) mobile that accepts a Regular-SIM card. Connectivity options on the Nokia N8-00 include Wi-Fi, GPS, Bluetooth v2.10, FM radio, and 3G. The Nokia N8-00 measures 113.50 x 59.00 x 12.90mm (height x width x thickness) and weighs 135.00 grams. It was launched in Dark Grey, Silver White, Green, Blue, and Pink colours. Its Fantastic mobile I ever used. Camera-Awesome, nice to use. Touch is super and simple. Even a child can easily use this mobile. Very strong and Attractive. Thanks to Nokia to give such a Mobile. My dad gave me his Nokia N8 as a graduation gift. It was 10 years ago. With just a 12 MP rear camera, the resolution is the same as the DSLR camera with the proper lighting. However, the selfie cam is not good and the video. It is good also good for games. Today, I bought a Nokia X^ with 16 MP rear camera but I was so dismayed because it has no match with N8's. Btw, I used my N8 as a spare phone while waiting for the X6. Overall, X6 was good, but the camera is average.